Lubin, perfume maker since 1798. Lubin's exploration of the world came through in his creations: his figurative, impressionist fragrances drew inspiration from the faraway countries that the Western world welcomed with wonder in its eyes. In his own way, the perfume maker brought to the West knowledge of far distant and fascinating horizons. Voyager, intrepid adventurers, and great ship captains, as well as men who stay at home, from well-groomed gentlemen to market porters, dream of faraway places full of promise. Pierre François Lubin founded Parfum Lubin in 1798 making it one of the oldest perfume houses in the world. He supplied the scented ribbons, rice powderballs and masks to high society women of Napoleonic France, alongside members of "The Incroyables". Lubin fragrances were a favourite of the Imperial Court and was worn by Josephine Bonaparte. Lubin would later dedicate fragrances to Queen Marie-Amelie. Lubin's reputation for haute parfumerie spread throughout the monarchies of Europe, and his soon began creating masterpieces for the leaders of France, England, and Russia. 1830 saw Lubin travelling to America, and he became the first perfumer to make a success there. 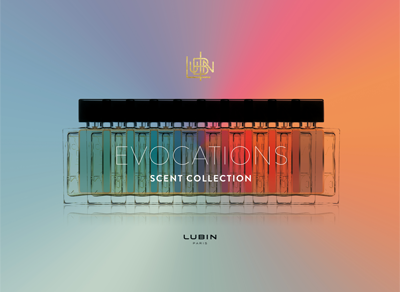 Lubin's exploration affected his creations, and his fragrances were inspired by the faraway countries that he visited. Olivia Giacobetti is now the current fragrance designer and is restoring the name of Lubin with several new fragrances. Idole de Lubin is one of her creations, a scent heavily inspired by exotic travels and a recapturing of the old world.